Last week, two of us digifest devotees went guerilla around UCL in search for some cool people to hear their thoughts on techy things. In true spirit of digifest, we were armed with only one tool – a smartphone. 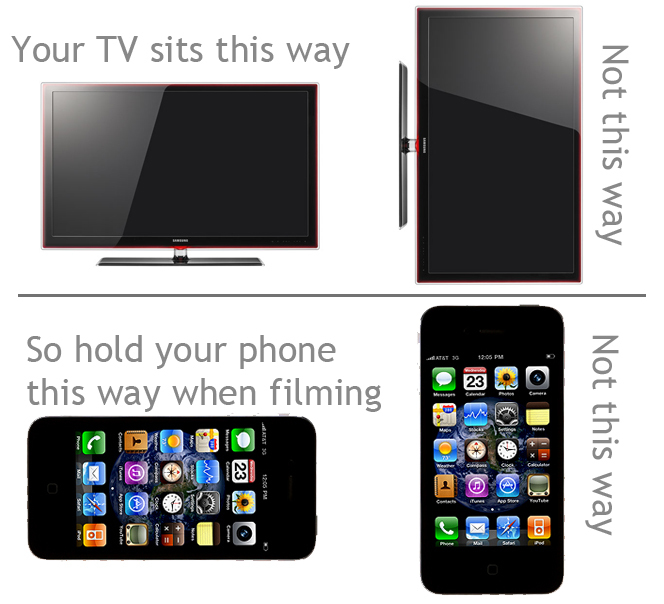 Being amateur videographers, basically what we did was point and shoot, but there is so much more to mobile video making than we thought. Two things to pay attention to are lighting and sound – always let the subject face the light and try to film in a relatively quiet place with little background noise that could interfere. We steered clear of head-pounding drilling going on around the campus, although we still had the occasional rustle of people walking around, but that’s nothing a video editing software can’t fix! Once we’ve got the footage we wanted, it was time to cut and edit them to suit our theme. 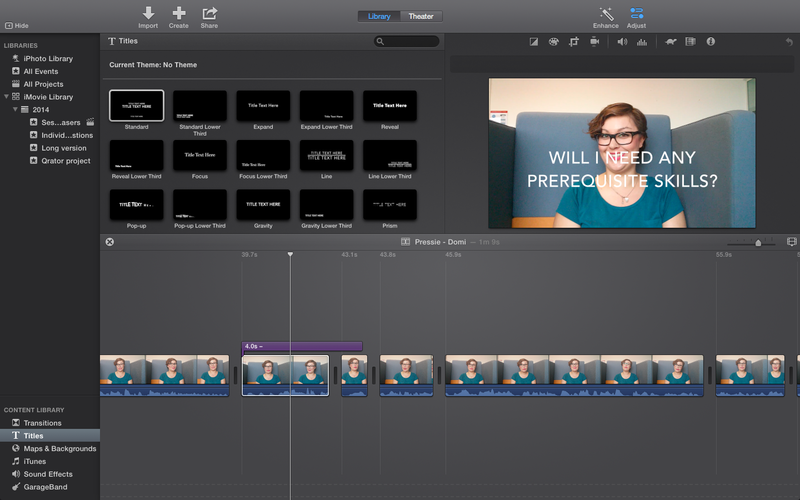 Video editing softwares like iMovie for Mac or Windows Movie Maker are enough to do simple editing jobs. A recent update in Youtube has even allowed in-site video editing that you can just publish afterwards. It doesn’t take a lot of technical skills to do this, just a little tinkering with some tools that are readily available. The difficult part in making this video is actually in approaching people to film them. In this case it’s about finding the right people – people who are waiting around or sitting in one place, who doesn’t look to be in a hurry… – and approaching them with a big smile and friendly attitude. Fortunately, the people in UCL are a cool bunch, and our gratitude goes to them for making this project a success. This entry was posted in Behind the scenes, What's happening? and tagged Behind the Scenes. On a warm July afternoon a bunch of digifest enthusiasts got together for our latest community planning meeting. It was really fantastic to see so many faces, some veterans of digifest and some who’ve just joined us. 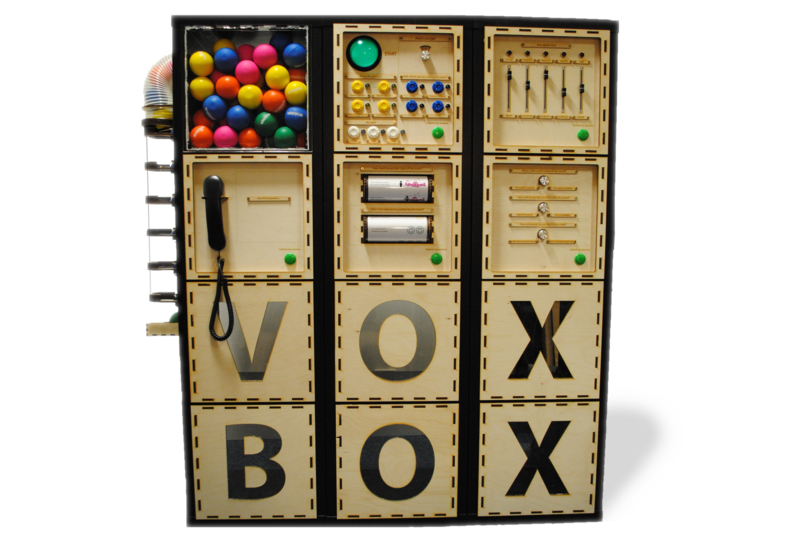 VoxBox – it’s a TARDIS of feedback! Could we turn our big red bus into a whiteboard? You can find much more detail and all of the other things we discussed in the minutes available on the Google+ planning group. This entry was posted in Behind the scenes and tagged community planning, digifest. 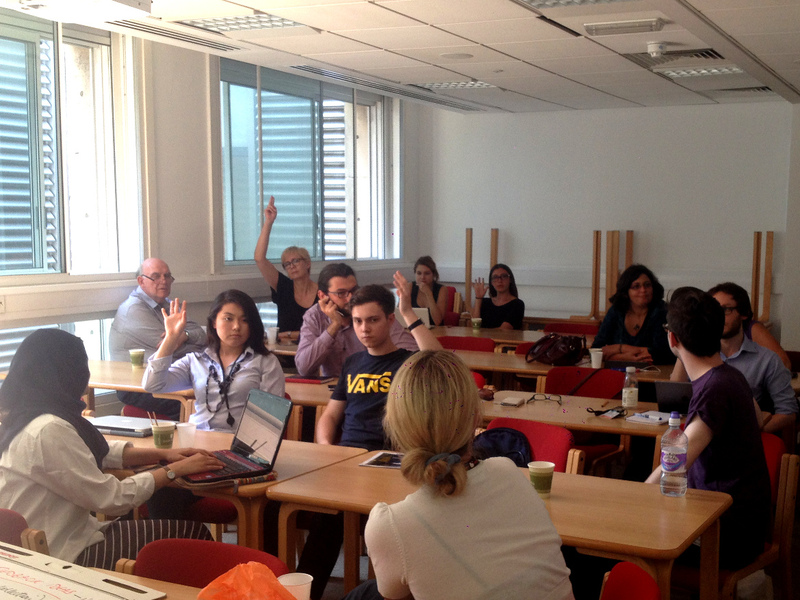 We had a really useful session on the 17th of June and digifest is now really starting to take shape! Once again we had some fab ideas for sessions. One of the most interesting suggestions was to get in contact with the team behind the Engduinos and see if they’d run a session with us. UCL being what it is, some of our academics wanted to build on the great work being done with Arduinos and the Raspberry Pi and make devices like those even better and even more accessible to beginners and so the Engduino was born. We thought maybe we could involve the UCL Academy in this too, all very exciting. Another big topic of discussion was copyright, creative commons, and open resources. We talked about the importance of copyright in research, how to navigate copyright and IP as a user, the pros/cons of different licensing systems (CC, GNU, etc). All of this lead us onto the idea of running a session around open source software, which would include some of these issues but also give the participants something practical like new tools and pieces of software to use. All that talk of licensing got us thinking about digital things and the law, and ethics more generally. Particularly the role social media played in Arab Spring and, even closer to home, its use for organising student and other kinds of activism in the UK. 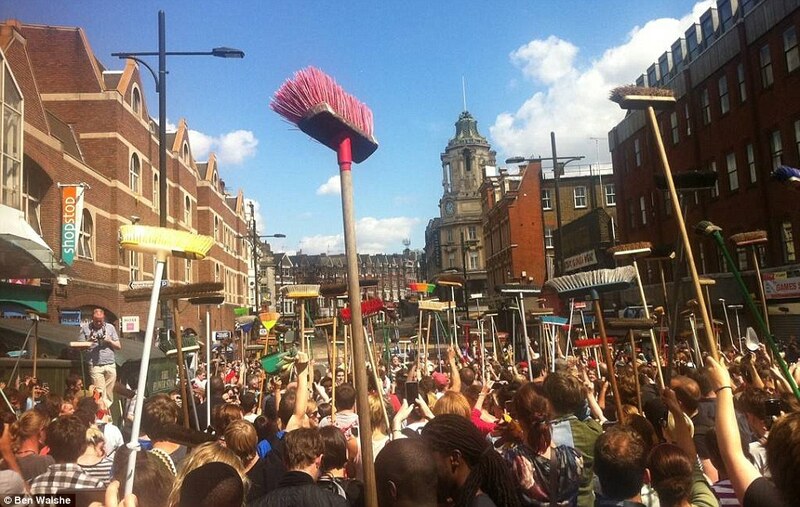 It was also widely used in the both the riots of 2011 and the subsequent clean up effort by the #riotwombles, exemplifying the opportunity these tools provide to do good but also the ways in which they can be abused. From there we chatted about digital art and getting in contact with some of the creative people over at the Slade to show off some of the incredible work they’re doing. One of the people we contacted wasn’t keen on joining the G+ community we’d been using due to privacy concerns and this sparked another lively debate about people’s digital footprint and right to be forgotten. One idea was to air our digital dirty laundry by getting people to display their online footprint on a washing line. Then we discussed how we were going to promote our amazing festival. Projections onto buildings, video diaries, social media campaigns, pop up events, posters, branded beer mats were just some of the ideas we had. But what would be put on these branded beermats? We need a logo! We pondered what our logo should be and represent; should it be in four colours to represent the four themes? Would that look a little too much like Google or Microsoft? The questions and debates were endless so we decided the best way to proceed would be have a competition. Everyone tinkering and making their own designs (very much in the spirit digifest!) and then the community voting on the one the liked best. We had a ton of entries, some a little whacky and some a little more sombre. Have a look at all the entries below, did we make the right choice? Let us know in the comments. As you can see it was a really packed session, and we haven’t mentioned the talks on surveillance, Jeremy Bentham, digital death, gender in social media, digital health, crowd sourcing we had too! To find out about those, have a look at the minutes on our G+ community. We’d love to see you at our next planning meeting. So join the conversation and join our newsletter or G+ group to find out more. This entry was posted in Behind the scenes and tagged community planning.